Spring is almost here and we’ve got new ways to save at some of the more than 48,000 restaurants on OpenTable. Check out March 2019 restaurant weeks and enjoy discounted dining in a city near you, whether it’s catching up with your sibling over a luxe-for-less lunch or grabbing dinner with your colleagues after nailing the big presentation. * Greenwich Restaurant Week brings $19.99 lunches and $29.99 + $39.99 dinners to the CT through March 8. Make a reservation. * Atlantic City Restaurant Week is your chance to win big with$15.19 lunches and $35.19 dinners through March 8. Make a reservation. * Orange County Restaurant Week brings you the best of the O.C. for less with $10-$20 lunches and $20-$50 dinners through March 9. Make a reservation. $34.95 three-course dinners through March 10. Make a reservation. * Albuquerque Restaurant Week invites you to expand your culinary horizons with lunches for $12-$25 and dinners for $25, $35 + $45 through March 10. Make a reservation. * Frederick Restaurant Week has begun in the D.C. area with special lunches and dinners from $15-$40 through March 10. Make a reservation. * Downtown Cleveland Restaurant Week features $15-$30 lunches and $15=$45 dinners through March 10. Make a reservation. * YYC Food + Drink Experience comes to Calgary with scrumptious lunches for $20 + $30, succulent three-course dinners for $30 + $40, and gourmet five-course meals for $65 through March 10. Make a reservation. * Sonoma County Restaurant Week is on in Wine Country with$10+ $15 Lunches and $19, $29 + $39 dinners through March 10. Make a reservation. * Maine Restaurant Week has delicious three-course $35, $45 + $55 dinners through March 12. Make a reservation. * Dine Out Boston has something for every budget with $15, $20 + $25 lunches and $28, $33 + $38 dinners, March 8-15. Make a reservation. Last year, in honor of Giving Tuesday, we asked you to join us in the fight to help end childhood hunger. 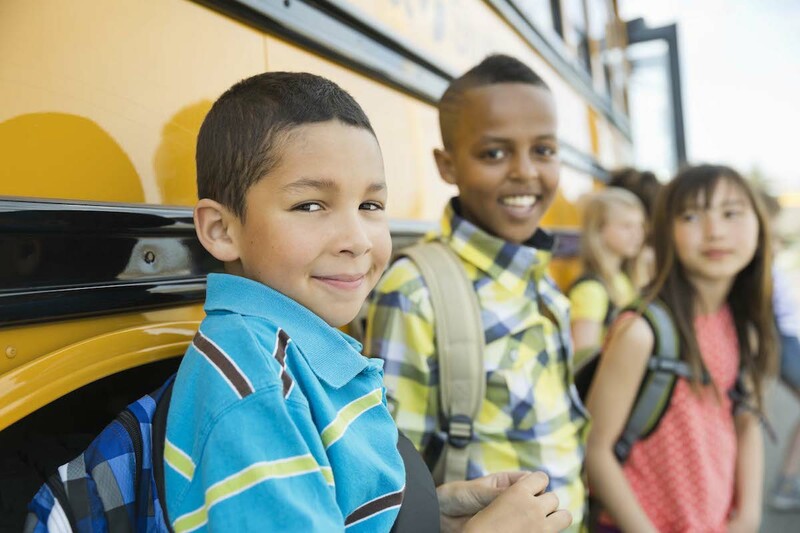 OpenTable diners were given the opportunity to donate their OpenTable dining points to No Kid Hungry®, a national campaign that is ending childhood hunger through effective programs that provide kids with the food they need. And the support for the #PointsforKids effort has been remarkable. Through OpenTable’s relationship with longtime non-profit partner Share Our Strength, the organization behind the No Kid Hungry campaign, the points donations made over the course of nearly two weeks resulted in 2,735,315 meals for children struggling with hunger in America. Every 100 points donated provides a child in need with up to five healthy meals. To deepen the impact of this effort, OpenTable matched the first 250,000 meals donated by diners. Did you know better dining experiences are just a few clicks away? You can now update your OpenTable profile so that we — and the restaurants you visit — can provide you with better recommendations and service so that you can find the right restaurant for any occasion or craving, from dumplings with dad for Chinese New Year to a steaming bowl of ramen on a chilly winter night. 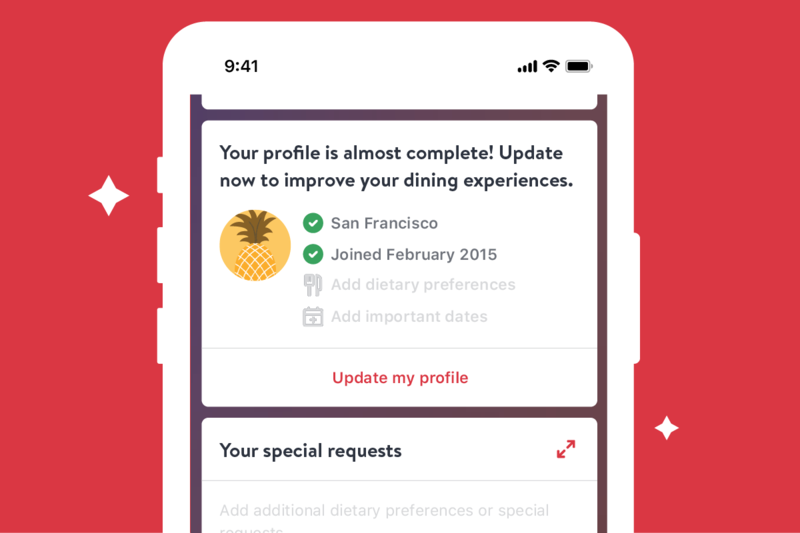 With these enhancements to your diner profile, you can enter dietary preferences and important dates to help make your next meal your best meal. Are you going gluten-free? Embracing a plant-based diet? Have an upcoming anniversary or birthday? We want to know. And, best of all — it takes just a few taps. Check out the video below to see how simple it is. The new year brings new ways to save in cities across North America thanks to January 2019 restaurant weeks. Find out where to dine for less this month. * Shellfish Showcase is your chance to explore the bounty of the Pacific Northwest in new shellfish dishes at restaurants in the Seattle area through January 17. Make a reservation. * Bethesda Magazine Restaurant Week continues in the D.C. area with $18-$23 brunches, $15-$32 lunches, and $26 -$48 dinners through January 20. Make a reservation. 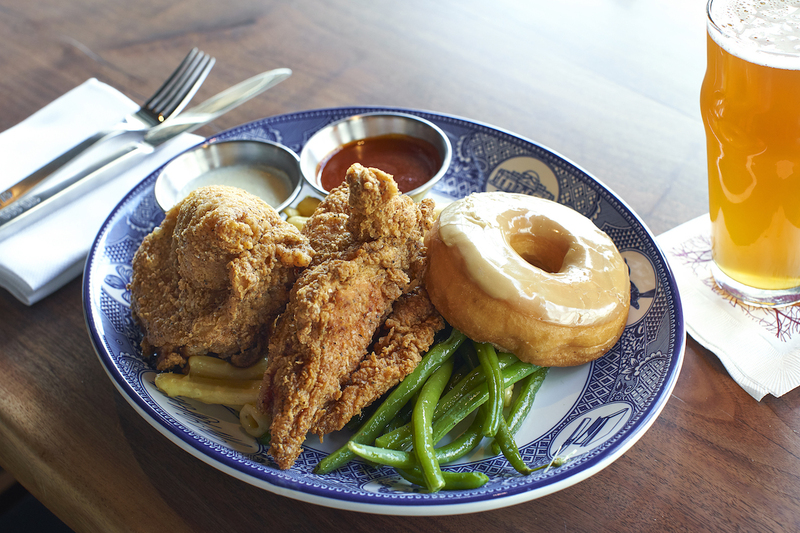 * Charleston Restaurant Week has special meals from $15-$50 through January 20. Make a reservation. * Oakland Restaurant Week has $10, $20, $30, $40, $50, $60 + $70 lunches and dinners on the bright side of the bay, January 11-20. Make a reservation. * Kansas City Restaurant Week has royally good deals with $15 + $33 lunches and $15 + $33 dinners, January 11-20. Make a reservation. * Restaurant Week South Carolina is a delicious celebration throughout the state with special three-course menus, January 10-20. Make a reservation. * Baltimore Restaurant Week has two-course $12-$20 lunches and three-course $20-$35 dinners at Charm City’s best restaurants, January 10-20. Make a reservation. * Sacramento Dine Downtown serves up mouthwatering three-course $35 dinners, January 11-21. Make a reservation. * dine L.A. is a 15-day dining event showcasing the diversity of culinary experiences Los Angeles has to offer with $15, $20, $25 + $35 lunches and $29, $39, $49, $59 + $99+ dinners, January 11-25. Make a reservation. * Providence Restaurant Weeks has $16.95 lunches and $29.95 + $34.95 dinner plus two-for-one lunches and dinners, January 12-16. Make a reservation. * Center City District Restaurant Week kicks off in Philadelphia soon with three-course $20 lunches and $35 dinners, January 13-25. Make a reservation. 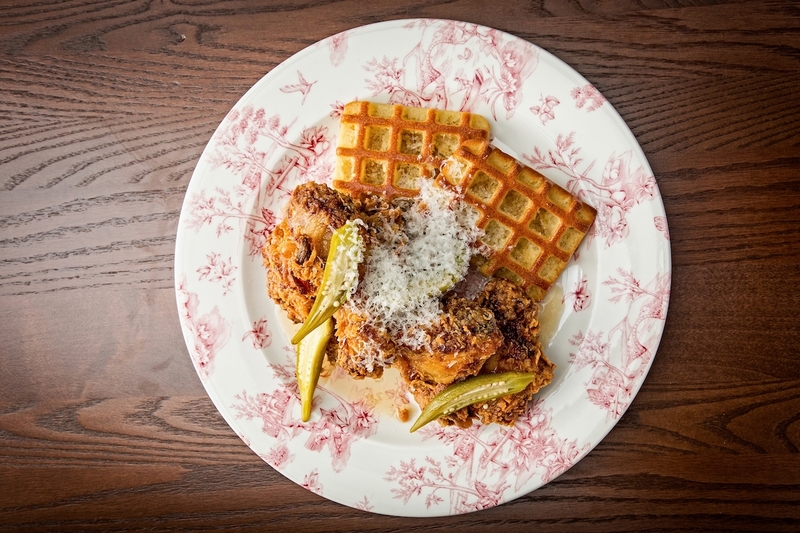 * Metropolitan Washington Restaurant Week will get your vote with three ways to save with $22 lunches + brunches and $35 dinner at restaurants including Succotash (chicken and waffles offering pictured above), January 14-20. Make a reservation. * Pittsburgh Restaurant Week has specially priced menus from $20.19 to $35.19 for Steel City diners, January 14-20. Make a reservation. * 360 West Magazine Winter Restaurant Week is on in the Dallas-Fort Worth area at Tarrant County restaurants with three-course $29, $39 + $49 dinners through January 27. Make a reservation.